The Columbus Mirror is a round mirror bordered by a rippling wave design. The piece is then finished with a silver leaf giving the mirror its bold Contemporary appeal. 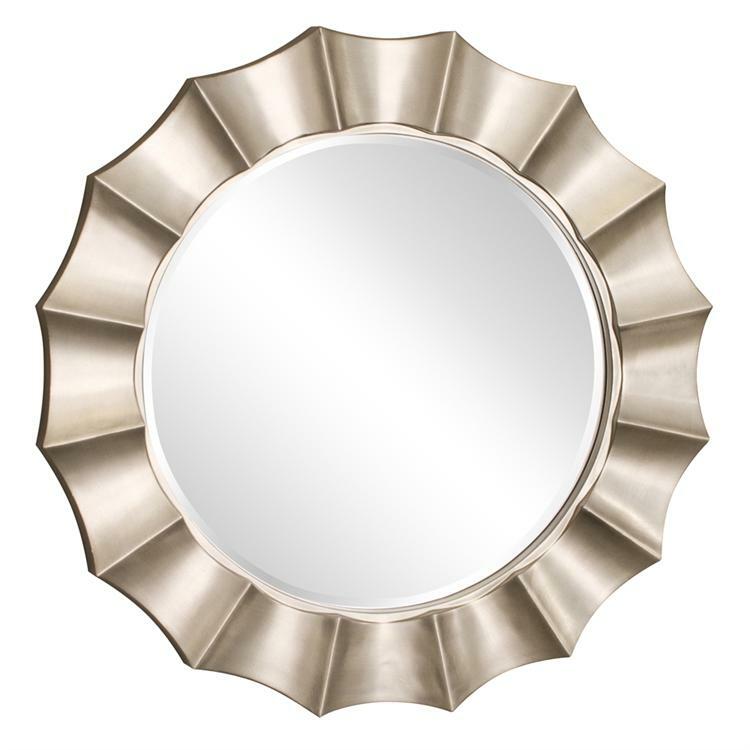 The Columbus Mirror is a perfect focal point for an any design. The glass on the piece is beveled adding to its style and beauty. Also available in an oval shape. Customizable for larger orders.